At Francis Holland, in the heart of Chelsea, London. So many lovely readers! I’ve just returned from my World Book Day (in the U.K. and Ireland it was on Thursday March 1st) tour, half of which I spent in and around London, England, and the other half in Copenhagen, Denmark. 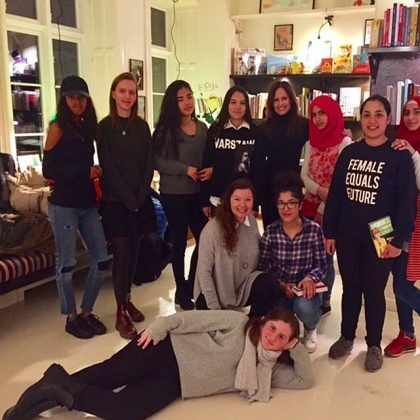 I met lots of super lovely enthusiastic readers of all ages and had SUCH A BLAST sharing my thoughts on books, writing, reading and fashion. World Book Day! At the Green School, with fab librarian and book blogger, Emma Gray. Walking to Waterstones bookstore – in the snow! 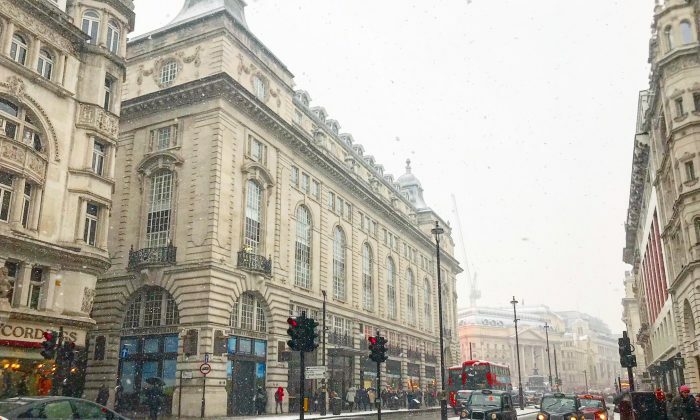 I’ve never seen London dusted in white – and talk about cold! Although the snow made getting around a bit tricky, it was beautiful. I won’t ever forget how magical the view was as I walked up Piccadilly Road on my way to Waterstones to sign some books. It really was like walking in a giant snow globe. London Wonderland! World Book Day was a snowy one in the U.K. this year! 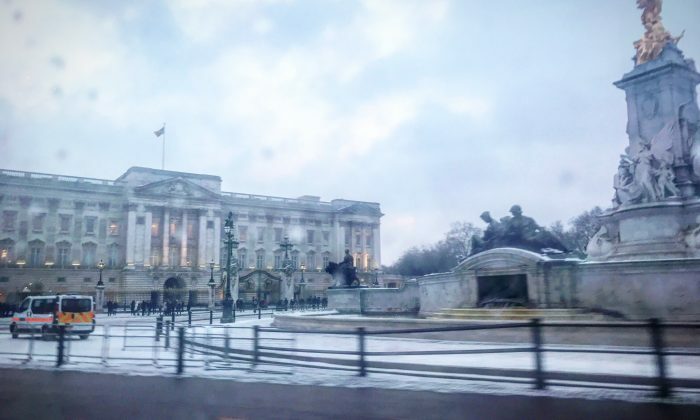 Here’s Buckingham Palace in the snow. 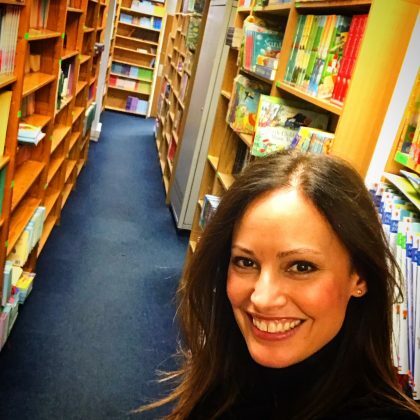 I stopped by my agent’s office for a long book chat. Lots of exciting plans for this year! 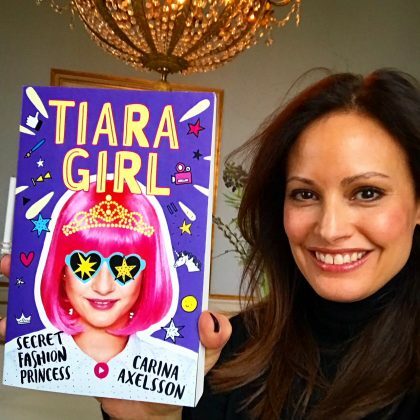 At my publisher, Usborne, making plans for my new series, Tiara Girl. Stay tuned! 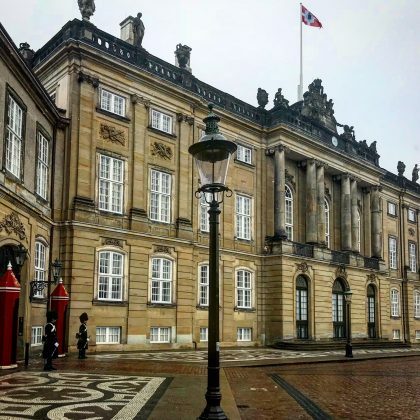 Amalienborg Palace. It was snowing when I took this picture, although you can’t tell from the photo. 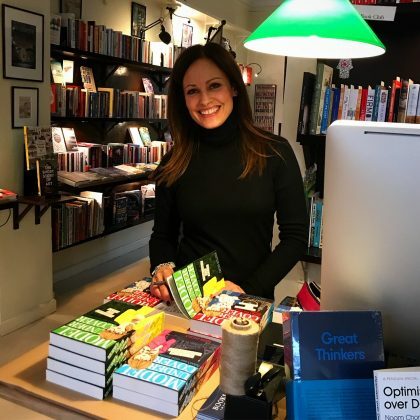 Happy to be at my favourite English book store in Copenhagen: Books & Company! It looks like I’m trying to do magic, or exercise, or something…in fact, just talking all things MUC. 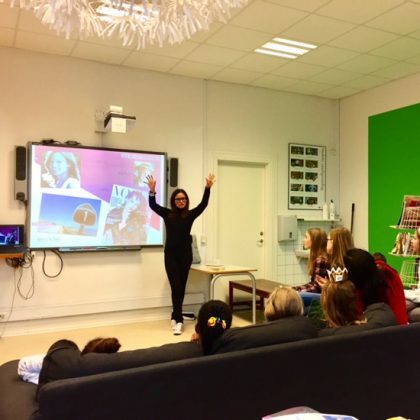 Celebrating International Women’s Day! Love the T-shirt on the far right. Now I’m back at my writing desk and I’m working on the very last round of editing of Secret Fashion Princess. It’s almost finished, which is a very exciting feeling. 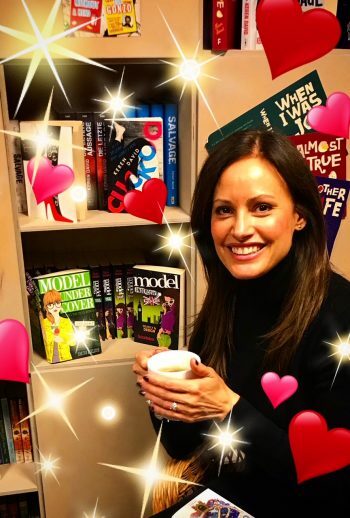 At the same time I’m working on the second book in the series – it still doesn’t have a title – and getting ready for some more exciting Model Under Cover events which I’ll be doing this spring. I just want to give a HUGE THANK YOU to all of the amazing readers who made my tour such FUN! You are the best and I had an amazing time meeting each of you! 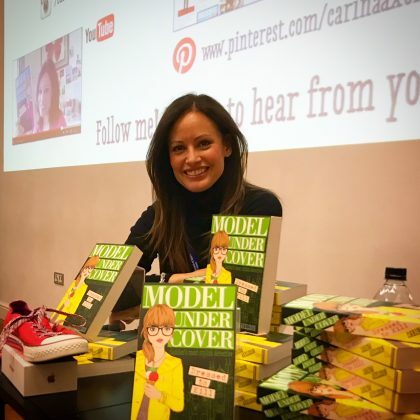 Thank you so much for making my World Book Day tour so special! 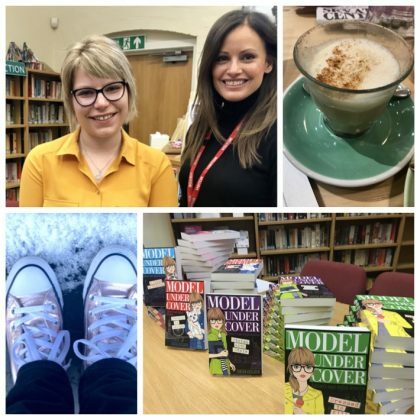 Hi are you going to write another MUC book! I love them!